Australia Zoo - Australia's most iconic zoo! 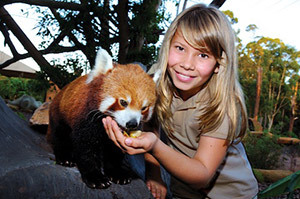 Book Australia Zoo Tickets & Passes! Australia Zoo won the Australian Tourism Award for Major Tourist Attraction in 2003 & 2004, got the silver in 2013, and won the Queensland Tourism Award in 2012 for the same category. Learn all about the underwater habits of these prehistoric reptiles as they lurk below the clear water for all the audience to see. In the wild Crocodiles camouflage in murky water, making it difficult to see just how close they really are. But in the crocoseum you can watch them silently stalk then launch at their food with jaw snapping verocity. 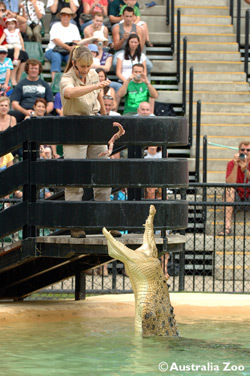 The zoo’s keepers put on an amazing Wildlife Warriors show here every day. You’ll experience everthing that slithers, swoops, snaps and stomps. Don’t just see the kangaroos, walk among them! In Roo Heaven you can walk beside, feed and pet one of Australia’s most iconic animals. The open enclosure is home to 4 different species of kangaroo, all of which are friendly enough for you to pet and pose for a great holiday photo with you. In the Koala Walkthrough you can see and even pat one of the zoo’s cuddly koalas. One of the most exciting things about the Australia Zoo is you never know when a roving animal may pop up. Don’t fret, there aren’t tigers running around unchecked. The Wandering Wildlife Team are always on the move with koalas, wombats, possums, dingoes, lizards, pythons, baby alligators macaws, cockatoos and more. Keep your eye out and you’ll be able to get a photo with these remarkable creatures. The Wildlife Hospital is open for walkthrough tours 4 times a day so visitors can see how our doctors care for sick and injured animals brought in by our volunteers. This is the largest hospital of its kind in the world and even provides an animal rescue service. Some of the animal stories will touch your heart and you’ll leave the hospital with a much greater understanding of our Australian Wildlife and the troubles they face. Resembling an ancient south east Asian temple, Tiger Temple is the perfect place for these big, majestic Sumatran Tigers to run around and swim. The animal handlers provide the tigers with plenty of snack and toys to play with so they stay entertained while you watch their feline antics. You can even see the tigers swimming from an underwater viewing enclosure. The African open range exhibit is about as wild as it gets – and it’s the only multi-species exhibit in Queensland. The African Safari Shuttle will take you of a tour where you’ll see Giraffe, Zebra and even a growing Rhino herd. 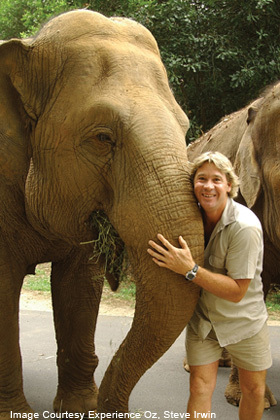 Australia Zoo is located at 1638 Steve Irwin Way, Beerwah QLD 4519. If you are travelling by train, the zoo offers a free courtesy bus which meets most trains at Beerwah Rail Station to transfer passengers. View the website for more details. 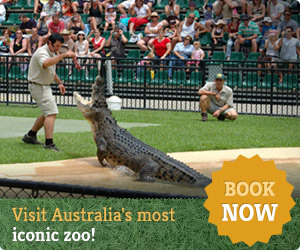 A trip to Australia Zoo is a fun day out for the entire family! To make sure your day goes smoothly, Australia Zoo is equipped with free WiFi in certain areas, locker hire, photography lab (where you can view and collect your animal photos) and many more facilities and services to ensure your experience is a great one. There are plenty of dining options including the Dingo Diner and Feeding Frenzy Foodcourt, as well as drinking fountains, kiosks and vending machines scattered throughout the zoo to keep you energised and hydrated. The Zoo also recommends that guests wear sun protection, bring a rain poncho (as weather can be unpredictable), water (which you can refill at the numerous drinking fountains), snacks/food and comfortable clothes and shoes. 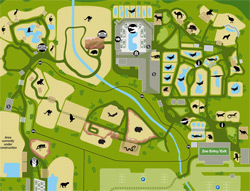 There's a lot of walking to be done around the Zoo! In saying that, Australia Zoo also recommends that guests do not bring alcohol into the zoo, food for the animals (the correct food can be purchased from the Kids Zoo and Kids Shop), and of course, no domestic animals are allowed into the park. Book your tickets online to receive bonus discount coupons! Get the best of both Australia Zoo & SeaLife Sunshine Coast with an Animal Action Pass!